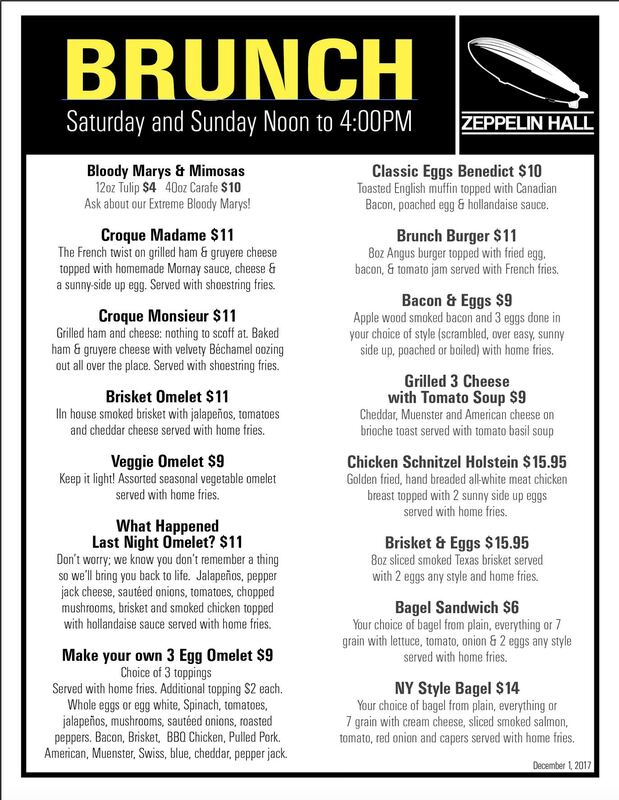 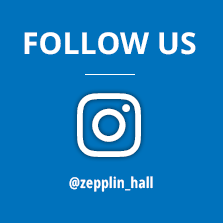 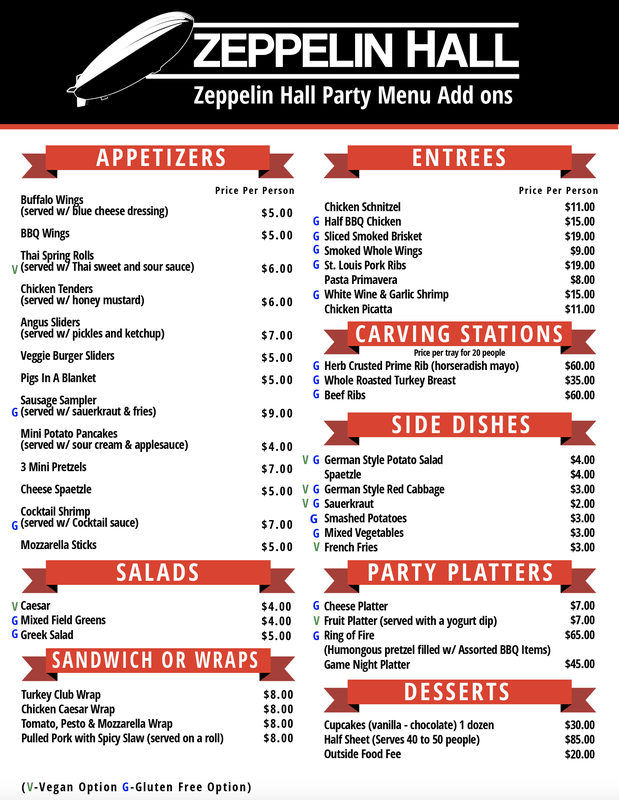 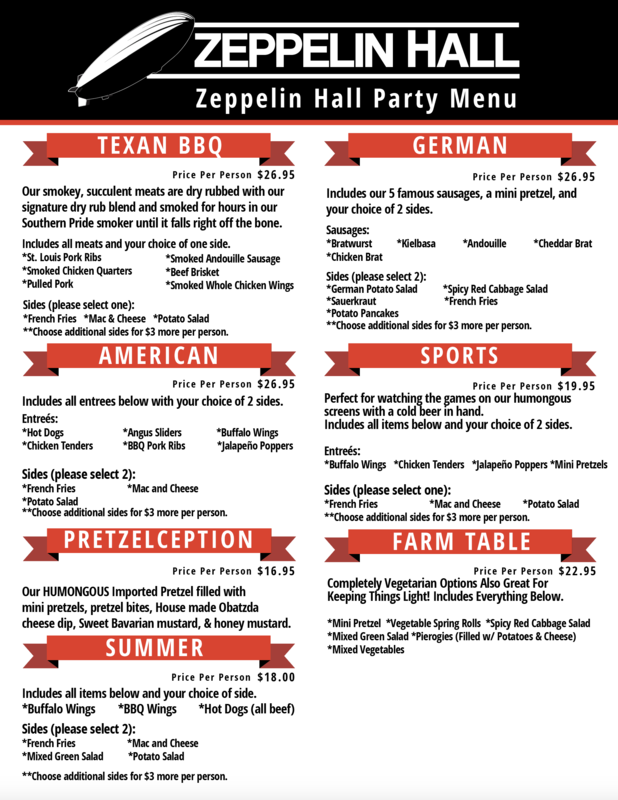 If yesterday’s Nor’Easter has you feeling cold and out of season, Zeppelin Hall promises to heat things up. 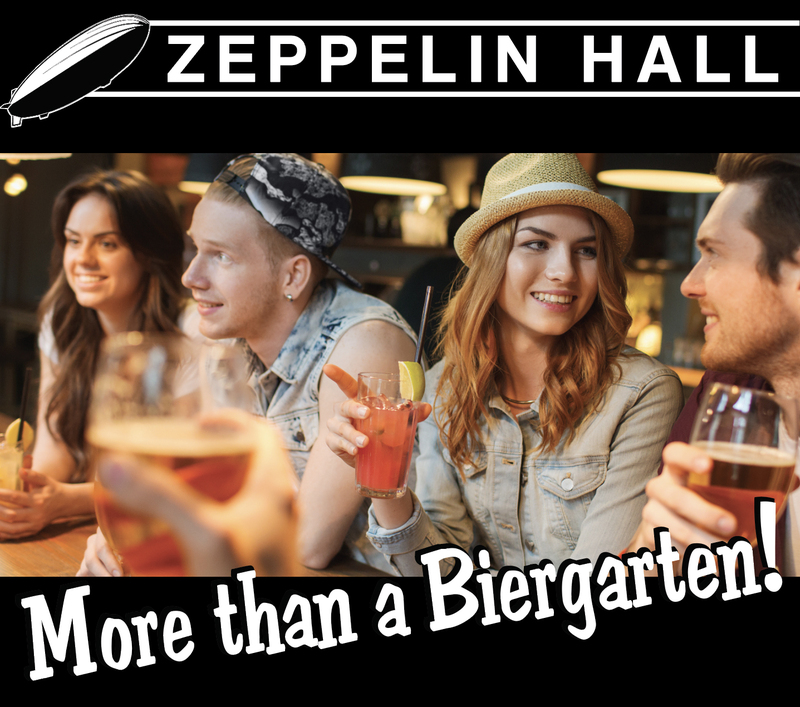 The biergarten is celebrating all things hot and spicy during its Chili Mania Festival, which starts tonight. 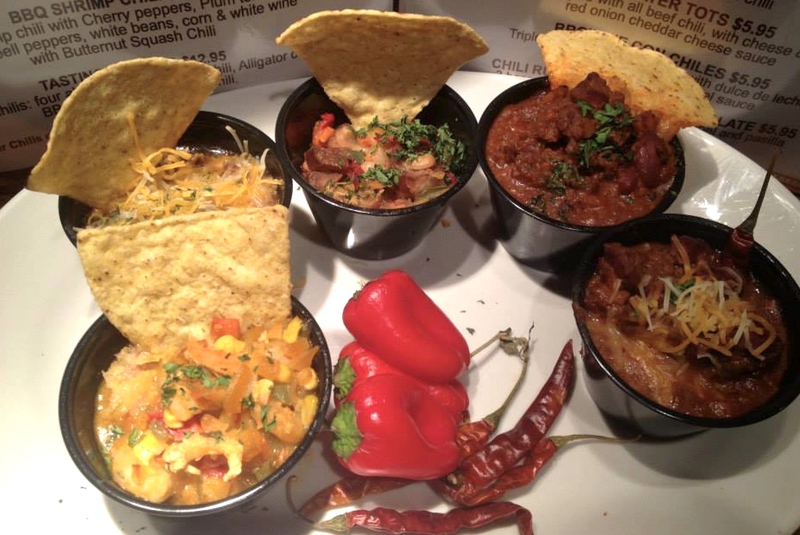 Executive Chef Franco Robazetti has created a special chili menu (pictured below) with eight different takes on the Texas classic such as Elk Chili ($12; elk sirloin braised with Pasilla chilies, tomatoes, and poblanos), Gator Chili Tacos ($11; chunks of alligator sausage/chorizo roasted over chipotle), and traditional Beef Chili ($10; beef, beans, and cheddar cheese). 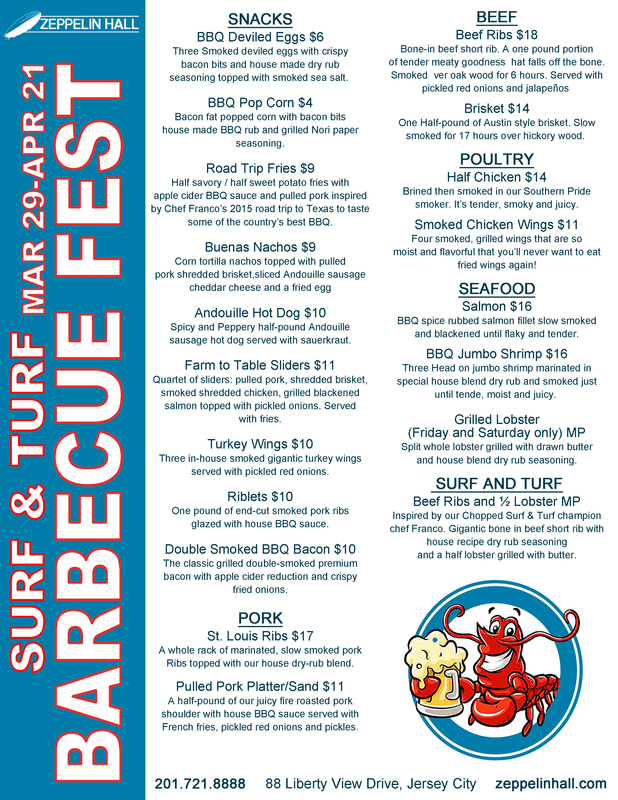 The latter can be prepared mild or with the Trinidad Scorpion, a chili that’s hotter than the infamous Ghost Pepper. 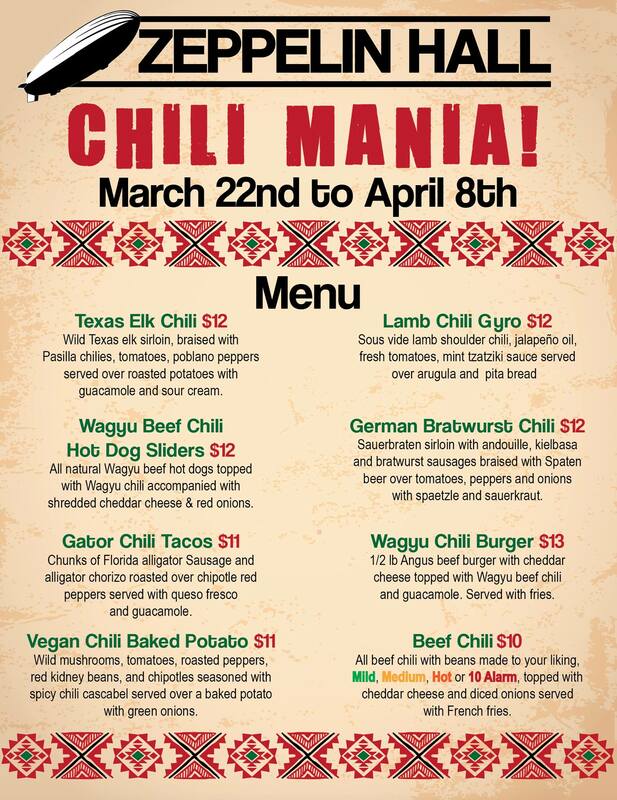 Chili Mania starts tonight and ends Sunday, April 8.